I realize I have three kinds of granola recipes on here. 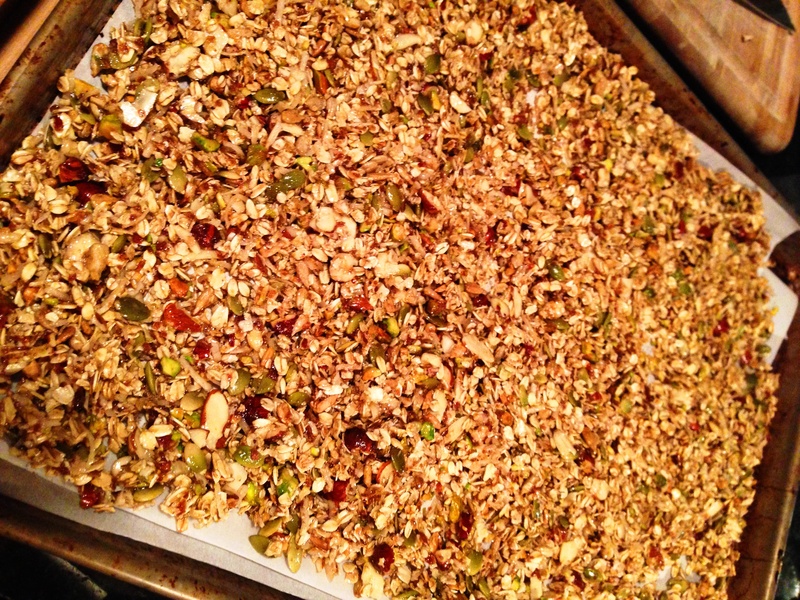 And a recipe for Granola Bars. And even one for Granola Crusted Walnuts. I also realize this is well above the number of options any normal person needs for granola consumption. However, this is pretty proportional to my granola caloric intake. 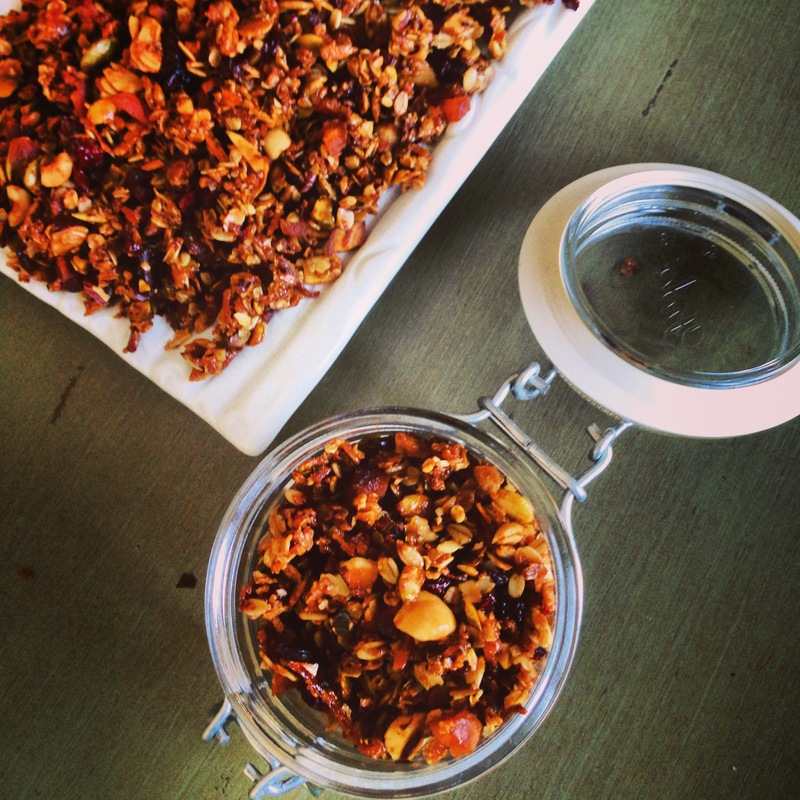 And to be honest I am probably going to post another granola recipe later this week. 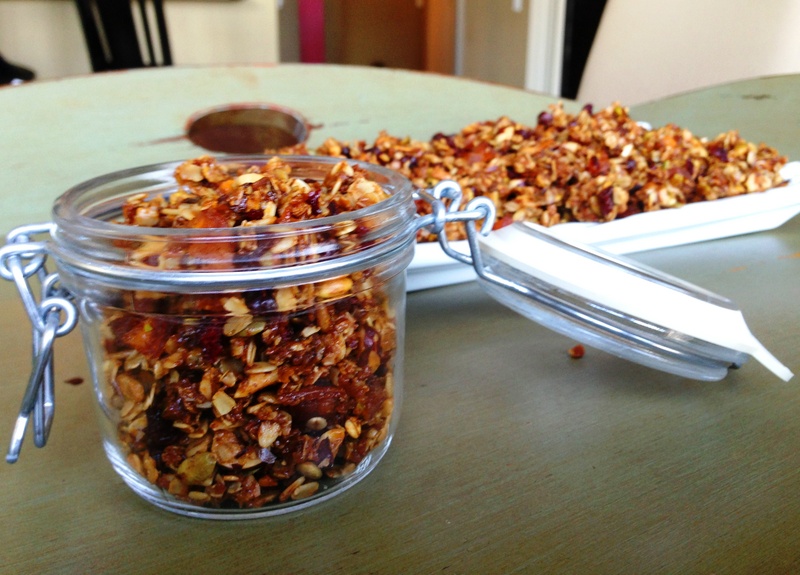 I have tested at least 20 plus granola recipes. I only post ones that change my life. I mean there’s cardamom in this. And olive oil. And a crunch I didn’t think was possible in homemade granola. And a tiny hit of saltiness that makes it especially addictive. 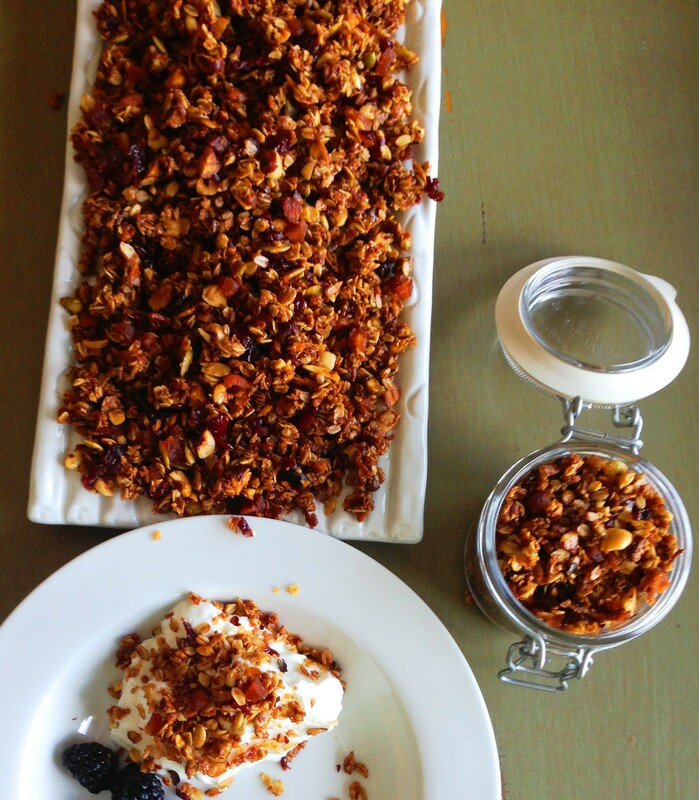 I don’t know what to say but if you make one granola related recipe on this site this is it. 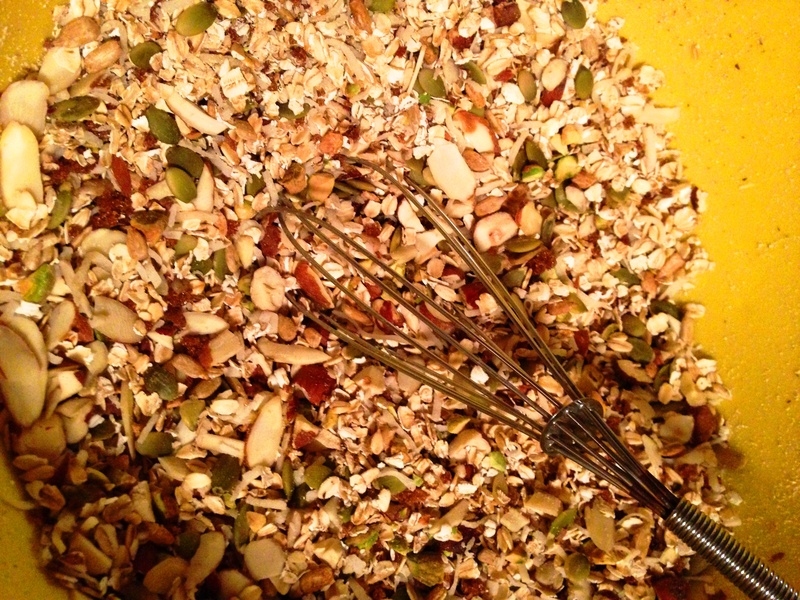 Whisk together the oats, nuts, seeds, pepitas, coconut, brown sugar, cinnamon, salt and cardamom in a large bowl. Add the maple syrup, honey and olive oil and combine. Bake at 300 degrees for 45 minutes stirring every 10 minutes (don’t be lazy). Transfer to a large bowl and add cherries and apricots. Keeps well in an air tight container in the freezer.